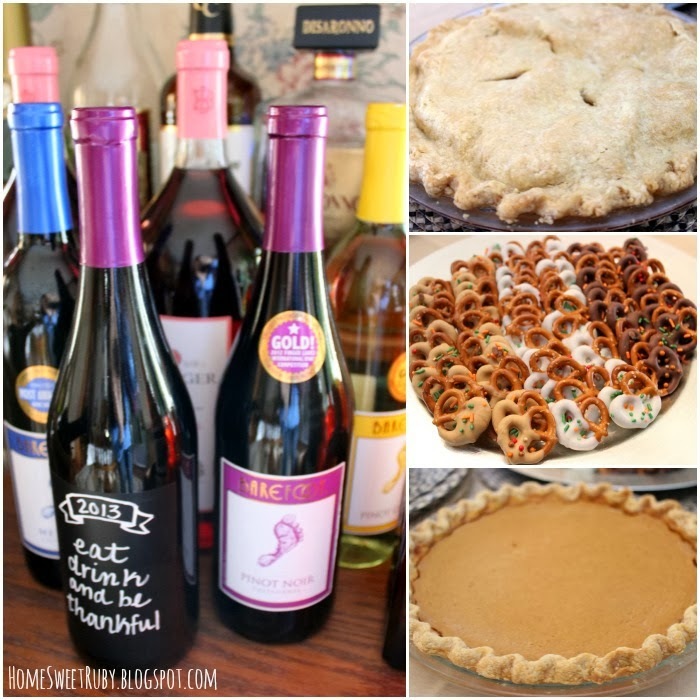 Hosting an Easy (& Fun) Thanksgiving + Link Up! With just over a week until Thanksgiving I'm getting so excited to see all of our family in one place at one time! I love Christmas, but Thanksgiving has always been my favorite. You've got an excuse to eat like a pig, slip into a wine-induced coma, and put your feet up (after helping with dishes of course!). Either way, I'm just counting down the days until we get a house big enough to fill with all of our friends and family. Even though we haven't actually had Thanksgiving at our house, over the years I've helped my Mom host and filled my Mother-in-Law's shoes when she couldn't fly home in time to make Thanksgiving dinner (yes, I made every dish including the turkey that year!). So I think I've got a good game plan. If you're hosting for the first time or planning a Friendsgiving, here are some beginner tips for a fun and festive dinner, sans the stress! to run out and grab that one ingredient you forgot. It's hard to delegate but totally necessary on a day like Thanksgiving! This is pretty obvious but when you have a lot of people coming, you need to have enough food! I love this little chart for help. And personally I'm all about the side dishes and having lots of options, which is where #1 comes back into play. Don't forget the rolls... the more carbs, the better! Do remember to thaw the turkey well in advance. Do baste the turkey often while cooking. Don't rely on the pop-up turkey timer. They don't always work correctly which can cause you to overcook your turkey. Get a good meat thermometer like this one. 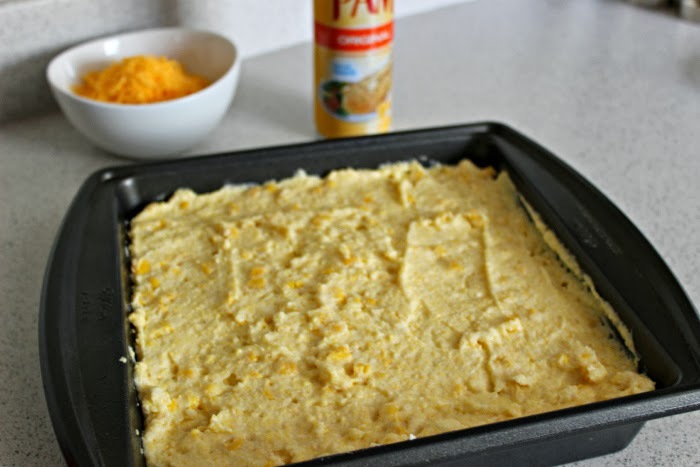 Clearly my food photography skills were lacking, but this cornbread casserole is one of my most-pinned recipes! Now is not the time to try that recipe with 30 different ingredients and even more steps that you found on Pinterest, I don't care how delicious it looks. One of my favorite recipes is my Cornbread Casserole. It's one of those "throw everything into a bowl, mix, then bake" kind of things, plus its absolutely delicious. I promise you will run of out this before the doggy bags even come out! Yes that even includes white and red wines! You can't forget the pumpkin and apple pies but don't worry if you can't bake, scope out a good bakery beforehand to help you out. Don't bother trying to get everyone's drinks for them. Set up a bar cart and let them work off those carbs they are about to eat. If you've got time, have some of this Apple Cinnamon Sangria at the ready! Get your table ready the night before so you're not stressing as food is coming out of the oven. Not sure about centerpieces? When in doubt, light candles. We'd all love to have matching place settings with perfect chargers, napkins, and centerpieces, but sometimes that's a lot more effort and who really wants to help with dishes anyway? Places like Party City and Sam's Club have "premium" plastic plates (hello pretty gold-rimmed version here) and you would never know looking at them that they are disposable! I'm not saying its for everyone, but if you'd rather curl up in your sweats with wine and play poker after dinner, this might be the way to go! You probably won't have room for all the leftovers, nor will you want them after a couple of days eating the same 5 things. Have some to-go containers available (like these) and wrap with some bakers twine. 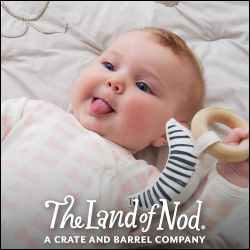 Easy and adorable! I know this seems obvious, but make sure you take some time to savor that red wine (if not for you, then me!) and be thankful for those you have in your life. Is anyone hosting Thanksgiving or Friendsgiving?! What's on your menu? Now it's your turn! 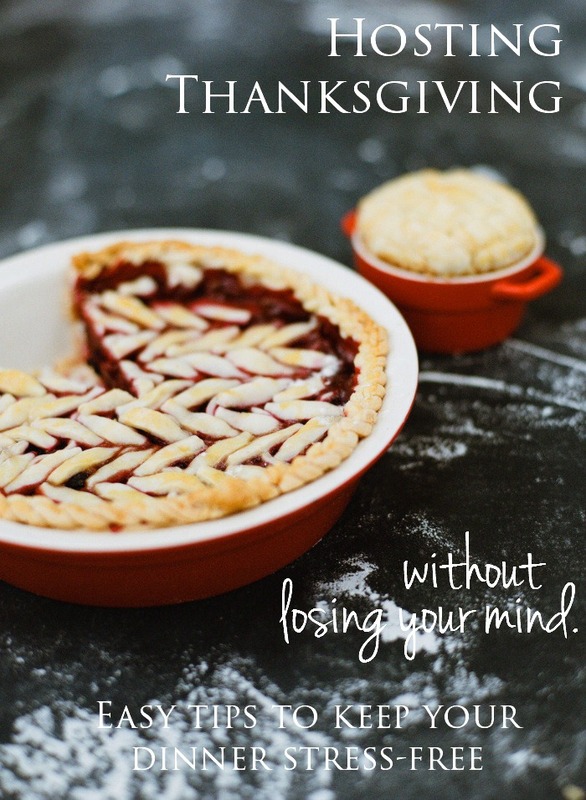 Grab the button above, share your favorite Thanksgiving recipes, outfit inspiration, traditions, etc. and link up below. So I'm definitely coming to Thanksgiving at your house, especially since I spy a bottle of my favorite amaretto in one of your pictures :) I love the gold pumpkins and all of the other table accents, as well as the idea to set the table the night before. 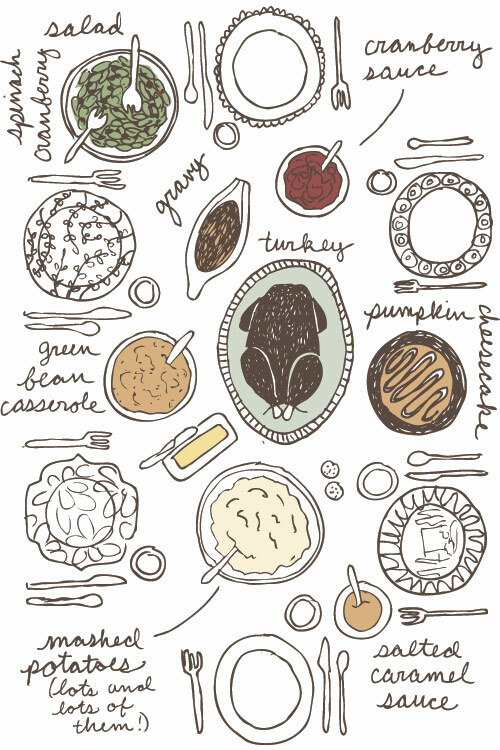 I think you'll be so ready to host your first Thanksgiving whenever it rolls around! Love all of this! That casserole sounds amazing and love those pretzels! 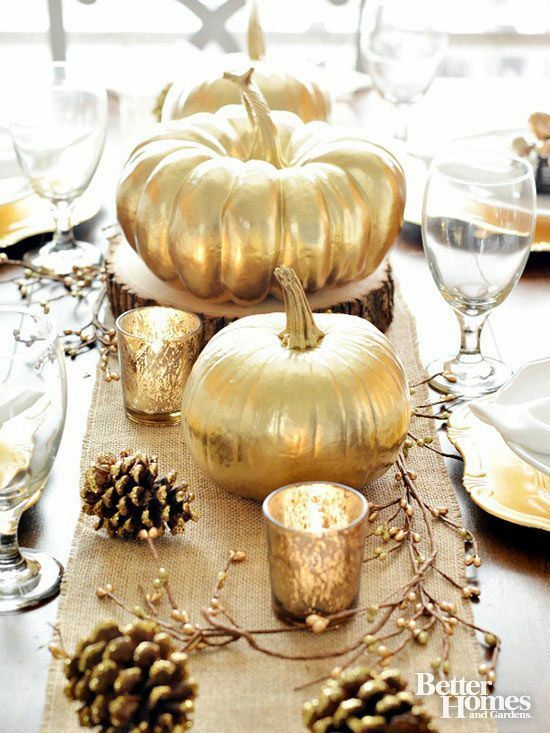 The gold pumpkins are the perfect table decor! I've never hosted either but I help my mom do all these things too! LOVE your tips!!! They are all on point, but you forget the most important one....when the day stresses you out, grab a drink, heehee ;)! That corn casserole is one of my favorites! These are great tips. Wish I was hosting this year and my sister in law would ask me to help more but she likes to take control of it all! We should do a Friendsgiving next year! This is sooo great! Saving it for one day when I get to host my own Thanksgiving :) We have cornbread casserole, too and it's one of my faves! And the bar cart, you know I'm all about that! This is seriously such a fantastic post!! I'm helping my MIL this year and she's taking care of the turkey but I'm doing everything else...so I'm going to need all these tips!! Great tips!! I definitely agree with the delegate one... I always watch Food Network and they're all about, "bring flowers" "bring wine" "you don't want to mess up what they have planned!" How about ask the host/hostess what they need!! 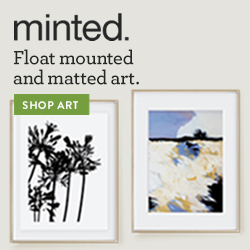 Thanks so much for hosting the linkup! How gorgeous is all of that gold table decor?! 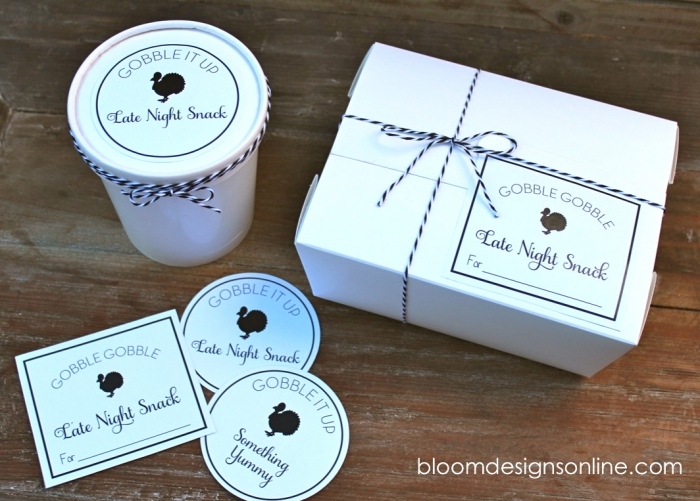 And I LOVE the idea of the to go stuff ready for guests! Great tips! And I love the takeout containers, great idea!! We have hosted the last 2 years, but this year we are going to visit family. I'll admit I'm going to miss hosting this year, but won't miss needing to deep clean our house before-hand...ha! Thanks for hosting the link-up, now I can't wait for next month's!! The turkey part alone makes me want to freak the F out. We haven't hosted - yet - but I'm sure it will happen sooner than later! Great tips (and I'll help with any leftover vino hah). Love all of these tips... Especially the to-go containers!!! I have never thought of that and it really is genius. I absolutely hate leftovers is plastic bags and usually give away my Tupperware... So this is a perfect compromise! 2) That bar cart would keep me coming back all night! 3) Beautiful table scape, love the gold! ...are you hosting Thanksgiving this year? These are great tips! I haven't hosted yet, but I am next week! I am definitely doing the delegating step. All I'm doing is the turkey, gravy, stuffing, and mashed potatoes. All of the easy parts! I love those gold pumpkins and those plastic plates are right up my alley. I will be swinging past party city sometime this week to pick some up! These are all great tips! 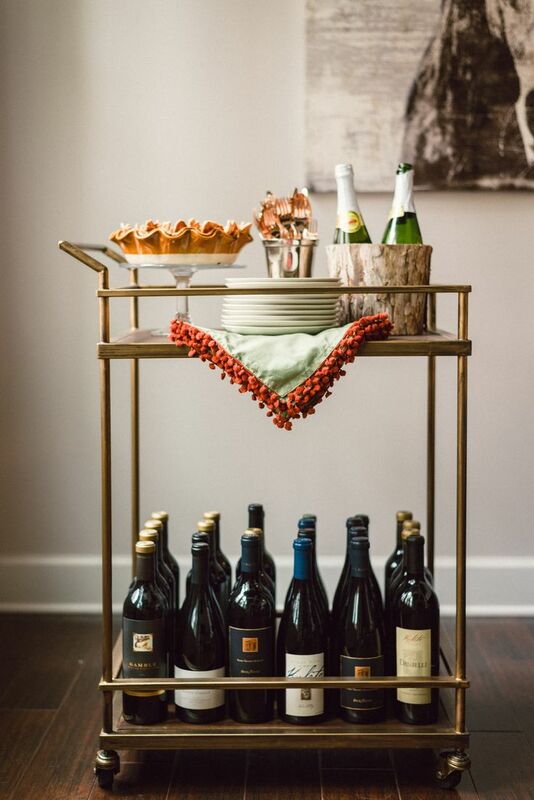 I always travel to family for Thanksgiving, but I love that bar cart, and apple cider sangria sounds delicious! These are awesome tips!! I definitely need to add a set up bar cart and to-go boxes next time I host!! Great tips! I'm so impressed you cooked everything. We've hosted Thanksgiving for our parents before (it's easy since we're both only children though!) but we had help with some of the sides and my husband cooks the turkey (which I'm totally afraid of)! Love that tablescape too! That cornbread casserole looks divine!! Can't wait to try it. Thanks for sharing the recipe!